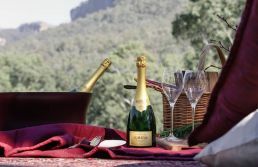 This July, Emirates One&Only Wolgan Valley, Australia’s ultra-luxury, conservation-based resort will launch an indulgent culinary experience for guests – the Krug Picnic. In partnership with the house of Krug, Emirates One&Only Wolgan Valley has created an unparalleled wilderness escape, pairing the finest produce with exquisite Krug champagne, served in the spectacular surroundings of the Greater Blue Mountains. 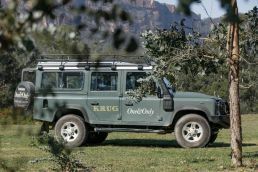 Available exclusively to those staying at the resort, guests will be whisked away by four-wheel drive to a secluded location where they can enjoy a complete food and champagne immersion within nature, whilst watching kangaroos and wildlife pass by. 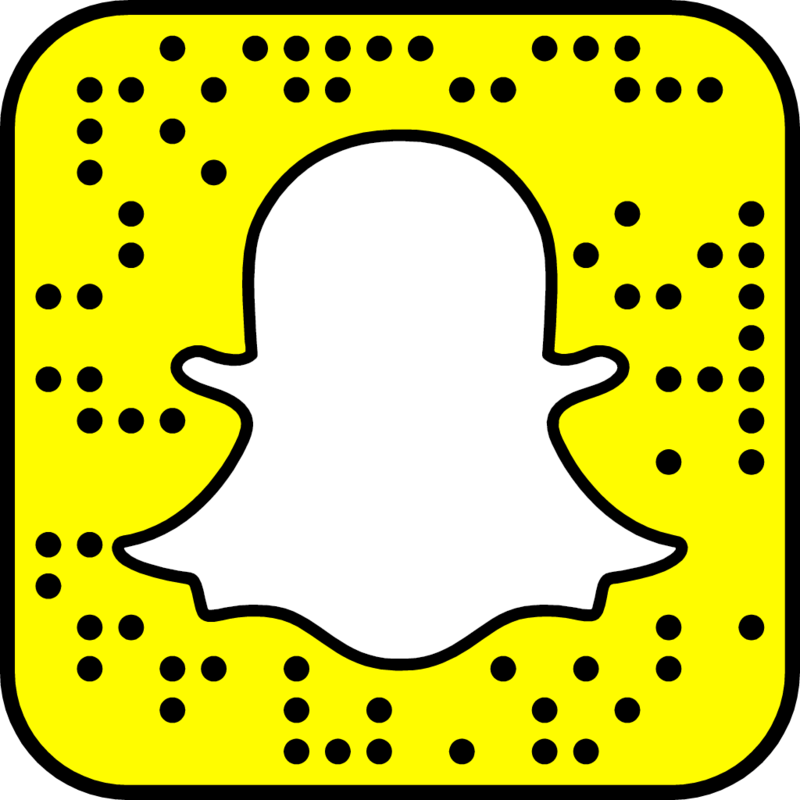 This experience takes guests ‘off road’ into the 7,000 acre resort with a Krug Picnic waiting on arrival in a private, picturesque location. Emirates One&Only Wolgan Valley’s Executive Chef Nancy Kinchela has worked with Krug Maison to develop a bespoke gourmet picnic that can be enjoyed simply, en plein air. Guests will be spoilt for choice with a selection of local produce and seasonal menu items, regularly updated, and hand- selected to perfectly complement the iconic Krug Grande Cuvée 166ème Édition. This season the bounty includes a Victor Churchill charcuterie board, Maroochydore king prawns served with lemon, fresh lobster spring rolls and a Lyonnaise salad with confit duck leg, crispy lardons and frisée lettuce. An artisanal cheese board with house made lavosh, panforte and a deconstructed lemon meringue tart will complete the gourmet picnic experience. 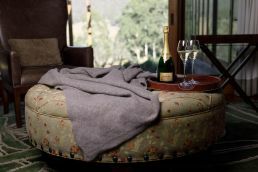 Margareth Henriquez, President & CEO of the House of Krug is pleased that Krug has partnered with Emirates One&Only Wolgan Valley to bring a memorable experience to guests. “Krug is the result of a visionary who pushed the boundaries to create the very best Champagne his House could offer, every year, independently of climate. Krug’s Grande Cuvée is the ultimate expression of the vision of Krug and is re-created each year. The current release, the 166ème Édition, is a result of exceptional finesse and slow maturation with a blend of over 140 wines from 10 different years having spent 7 years in the cellars of Krug. The result is a champagne of expression and elegance that transcends the notion of vintage. 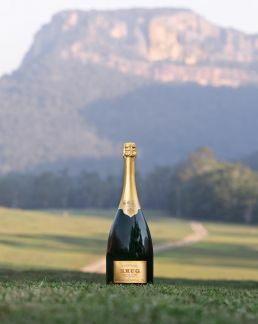 The Krug Picnic launches as part of the Winter Culinary Festival at Emirates One&Only Wolgan Valley which sees the resort hosting a series of unique culinary experiences in partnership with some of Australia’s leading chefs, award-winning winemakers this winter. 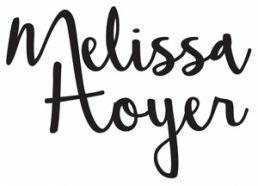 Curated by Executive Chef Nancy Kinchela, each gourmet experience will reflect the resort’s culinary philosophy, celebrating the very best of seasonal, regional and, where possible, organic produce, sourced from local boutique farms, private growers and vintners. 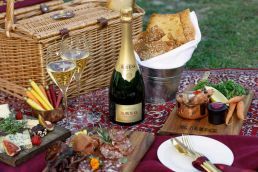 The Krug Picnic is perfect for special occasions, for the ultimate romantic weekend getaway or for Krug-lovers who wish to indulge in a truly unforgettable moment and is available to resort guests for $895 per couple. Two-night accommodation packages for two at Emirates One&Only Wolgan Valley start at AUD $2,090 per evening in a Heritage Villa with private pool, including gourmet breakfast, lunch and dinner daily, local wines and beers with meals, non-alcoholic beverages with meals and two nature- based activities.